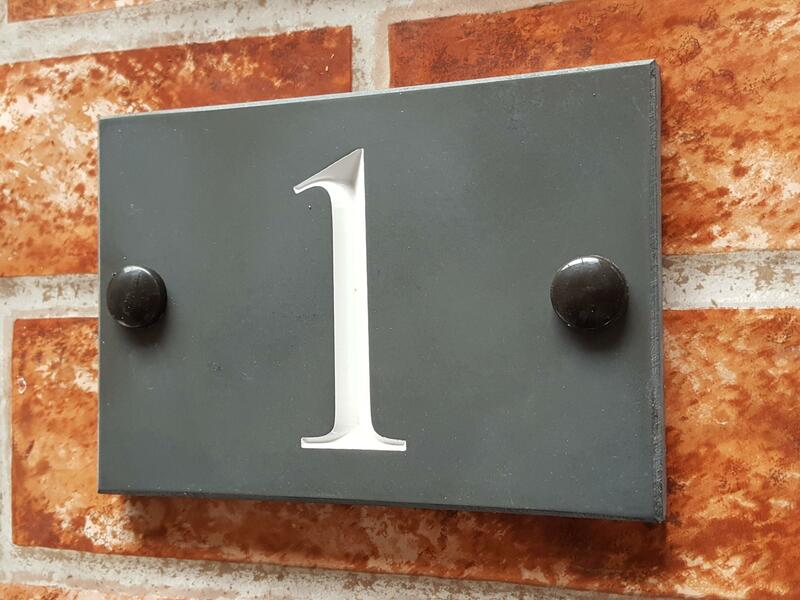 Affordable engraved slate house numbers for up to 2 digits. 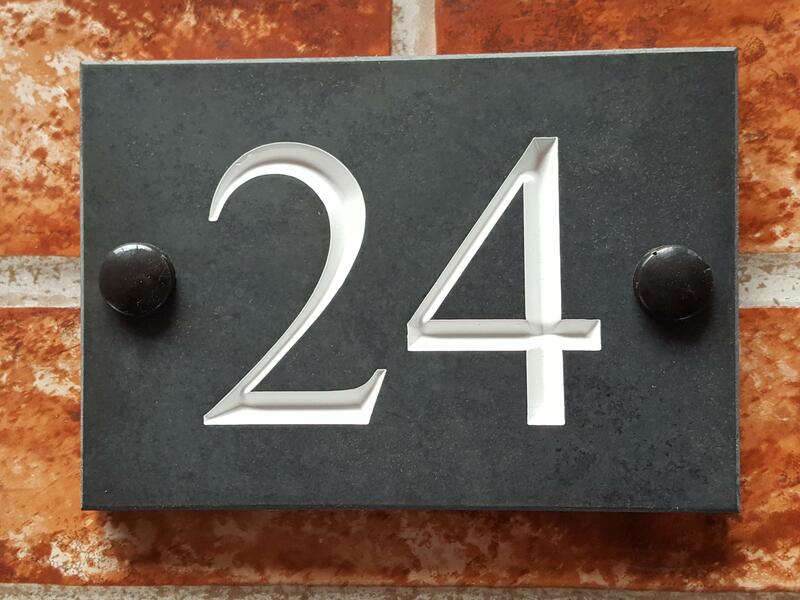 Available in Times Roman font with a white inlay for numbers between 1 & 50. Simply quality at a budget price. The engraved numerals measure 55mm for 2 digits and 65mm for a single digit. 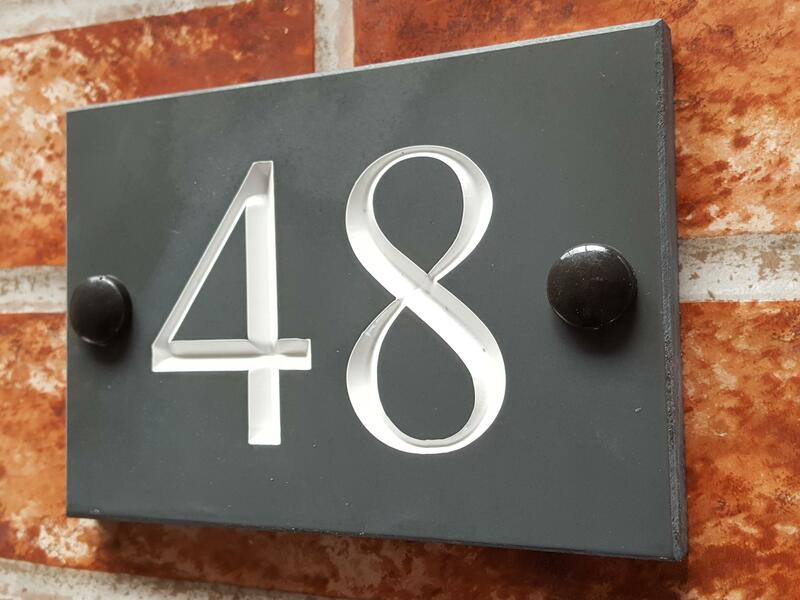 We don't make mock up proofs for this budget range of house numbers as they are only engraved in Times Roman font and the numbers are always white. - This is why we can offer this quality number plate at such a cheap price. 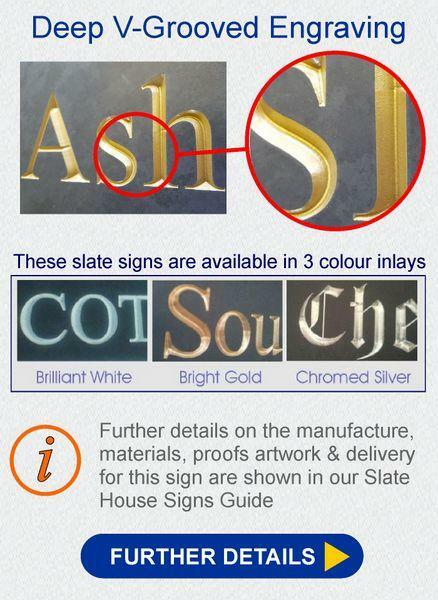 We manufacture these plaques from scratch. 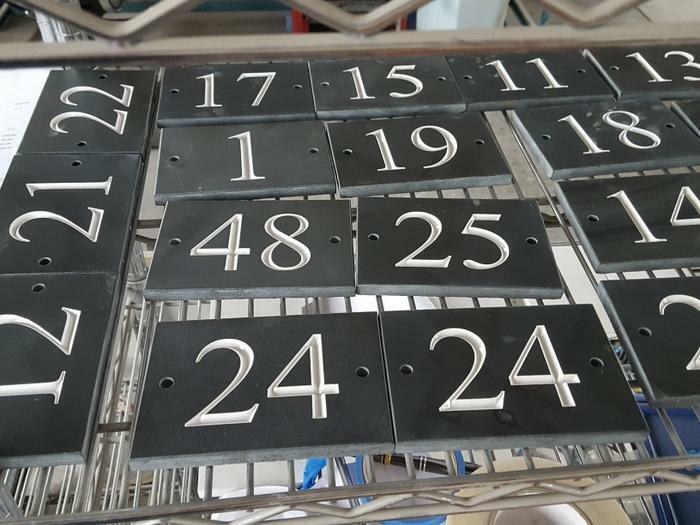 The House Numbers 1 to 50 in this range are normally in stock and will be packaged next working day after order is processed.